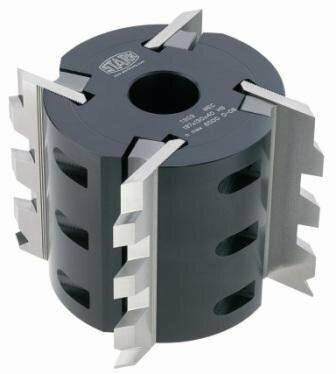 Serrated Moulding Cutterheads can be equipped with 2 or 4 HSS knives. These knives are 8 mm thick. The serrated back profile of the knives assure perfect positioning. The head can also be used with TCT Tipped Serrated Knife Blanks. The tool is supplied without knives and these can be found on this LINK and can be profiled on request.